For a better experience on R.A.M. FINANCIAL, update your browser. Prior to joining R.A.M. 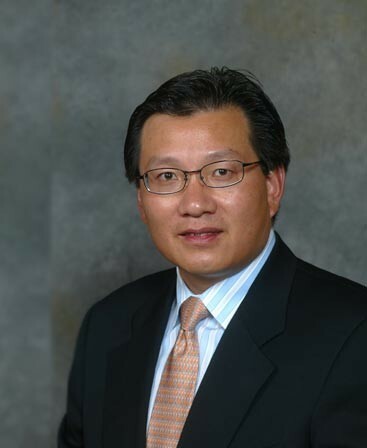 Financial Ltd., Gerry Wang was the Chief Executive Officer, Co-Chairman & Co-Founder of Seaspan Corporation (NYSE symbol “SSW”). Mr. Wang spearheaded Seaspan’s containership business in 1999, amid Asian financial crises. In August 2005, Mr. Wang successfully took Seaspan’s containership business public, trading on the New York Stock Exchange. He was subsequently appointed as the Chief Executive Officer and Director of the newly founded public company, Seaspan Corporation. The offering was the largest shipping IPO in North America history. Mr. Wang was also the Chairman of GCI Group, an investment between Carlyle Group, Tiger Group and Seaspan with a focus to make investments in the maritime space. Mr. Wang received a Bachelor’s degree in Navigation from Shanghai Maritime University in 1983 and was awarded a Master’s degree in International Economics and Management from a program sponsored by United Nations Economic and Social Commission of Asia Pacific. In 1993, he obtained his Master of Science degree in Business Administration from the University of British Columbia in Canada. He was voted the spokesperson of the year 2013 for Lloyds List. Mr. Wang’s son, Colin, graduated from Wharton where his daughter, Cindy, is a freshman. Mr. Wang has been actively involved in the Asian developments for the University of Pennsylvania. © 2019 R.A.M. Financial Ltd. All Rights Reserved.